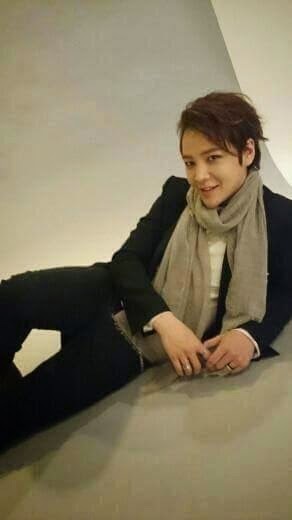 The Eels Family: [Article] Jang Geun Suk, revealing the truth of the new "Monochrome"! [Article] Jang Geun Suk, revealing the truth of the new "Monochrome"! The issue of CUT with an in-depth interview of Jang Keun Suk will be released on February 19th! Jang Keun Suk’s Third album "Monochrome" will be released on February 25th. With his strong presence, Jang Keun Suk tries to repaint the world with his own colors. This time Jang Keun Suk departs from his usual musical style/composition and bares his soul to reveal true loneliness and anxiety. However, listeners ultimately get a feeling of hope from this album due to the sincere effort Jang Keun Suk puts into each song. Jang Keun Suk shows why he is a star who has always expressed his heart and true feelings by bringing this album to a new level of human emotions and energy. Why has his music moved in a different direction? All will be disclosed in the in-depth interview. Please pick up a copy! The music video of the first single "Hidamari," has been released to public.